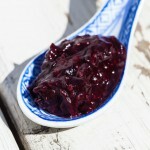 Right now lots of berries are in season so you need to make your preserves for the long winter months. 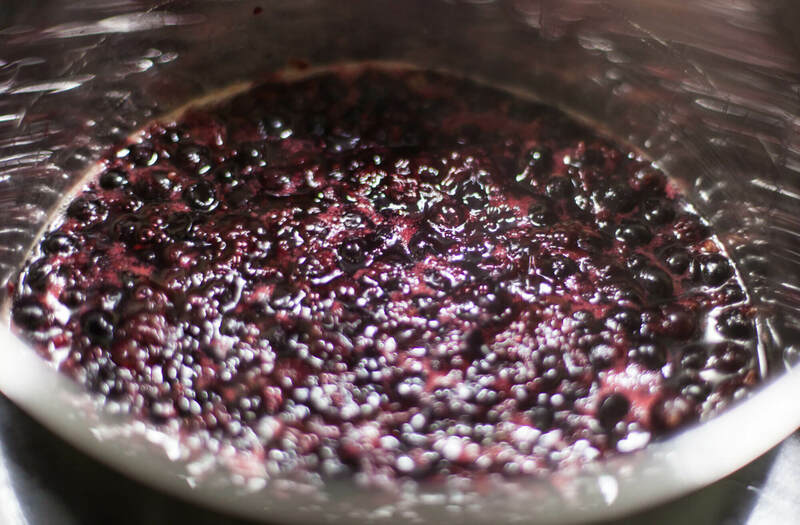 One of my favorite berries is blackcurrant, so that is what I chose for this recipe, but you can substitute with any berry or fruit that you like. Another favorite for me is orange jam with the peel and all. If you replace with another berry or fruit you just have to adjust the sweetener so that it sweetens to the equivalent of 75% to 95% fruit/berry weight in sugar. Homemade sugar free blackcurrant jam is just so incredibly more delicious than what you can buy in the stores. So just get going. It is literally only a couple of minutes worth of active work. The sodium benzoate can be purchased at Amazon. Measure out 8 gram of sodium benzoate and 92 gram of water. Mix thoroghly until the sodium benzoate has been completely dissolved. 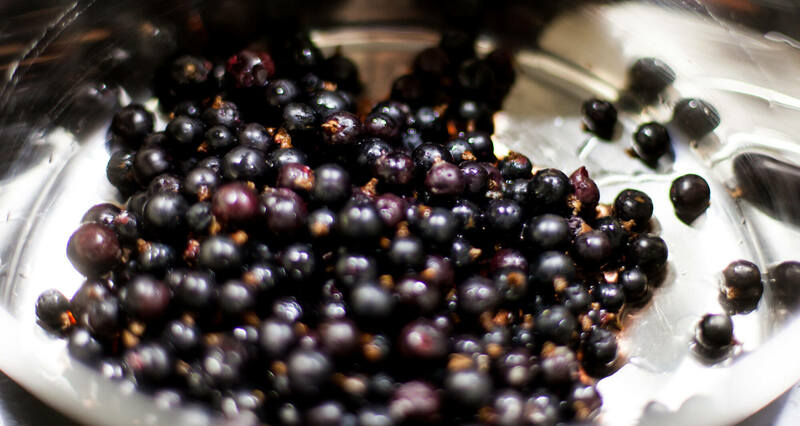 Put the berries in a pot. You can put a bit of water in the bottom so that it does not burn. Add sweetener to the berries. Stir to combine. Let it cook through over medium high heat for about 10 minutes. If it is too fluid for your taste, make a slurry of corn starch and water. While it is boiling, pour in little by little, mix, check the consistency, and put more in if needed. If you put too much starch in, it will turn into a jelly. 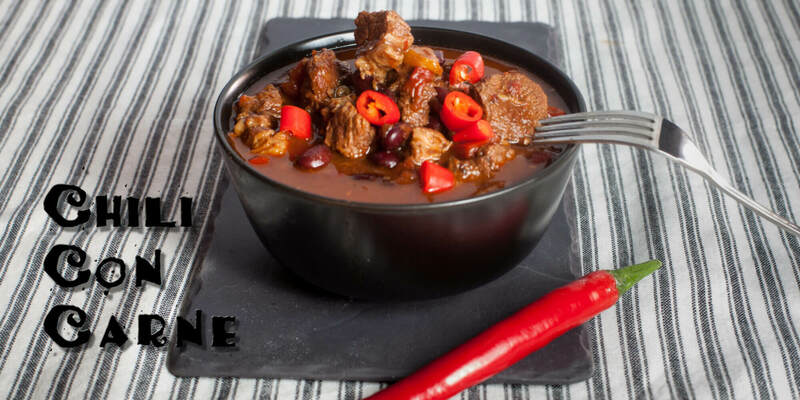 Take off the heat and let it cool to room temperature. Check the sweetness and add more sweetener if needed. Mix in 10 gram of sodium benzoate mixture. You need 0.2% of the amount of berries, so if you use more berries you need to scale up. Pour into a sterilized mason jar, seal and put it into the refrigerator right away. It can stay fresh for at least a month, but I've had it stay good for longer. 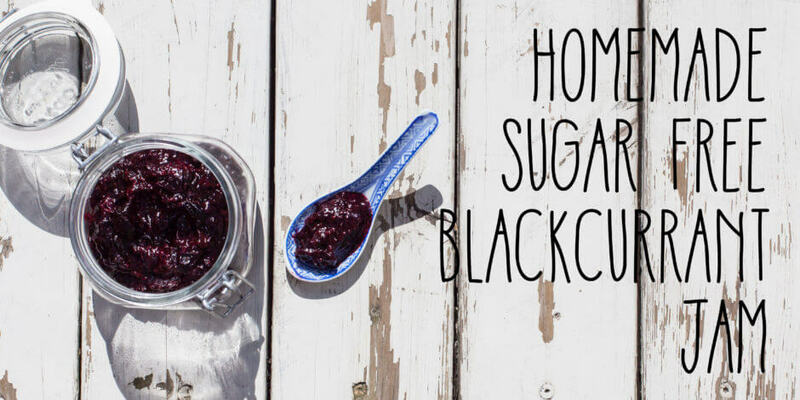 That is how easy it is so make my homemade sugar free blackcurrant jam recipe. I hope enjoy it.